Chances are you’ve heard all the buzz about micro-moments, but are still struggling to figure out what these are and what they mean for your marketing strategy. Google defines these touch points as “moments when we turn to a device—often a smartphone—to take action on whatever we need or want right now.” To put it in even simpler terms, micro-moments are those when your target consumer is seeking quick answers or solutions to their problems. If that’s not enough pressure, micro-moments are also transforming what the customer journey looks like. It’s no longer a linear, step by step, process. As Jay Baer said when he identified micro-moments as one of the content marketing trends of 2017, the sales funnel is starting to resemble a “bowl of behavioral spaghetti” more than anything else. That is why we, as marketers, need to adapt by anticipating the various ways in which customers may arrive at their final purchasing decision. Although micro-moments create a new set of marketing challenges, I encourage you to look at them as opportunities to connect with your customers at a deeper level. These quick moments when your customer is searching for information, give you a chance to get ahead of the competition by providing them the tools they need to keep moving through the sales funnel. In Micro-Moments: Your Guide to Winning the Shift to Mobile, Google states that in the age of micro-moments, successful marketers need to commit to being there for customers in those moments of need. And doing that is the first step toward capturing their attention. Need more proof? Research shows that 1 in 3 smartphone users have made a purchase from a brand or company that wasn’t their first choice because they provided information when they needed it. Or, simply put, these brands or companies took advantage of micro-moments; they knew their target customers would possibly be searching for a certain product or information, and used that moment to capture their attention. 1. Know your customer and anticipate their needs: To be there for your customer at the right time, marketers must understand the types of questions their customers have. 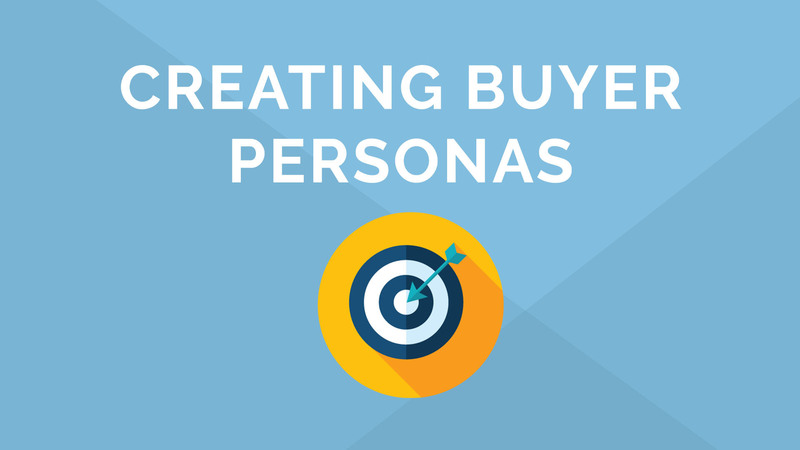 If you haven’t already, develop your customer persona(s) and map out their journey to include the various places in which they might be seeking that information. Doing all this will prepare you to show up for your customer before your competitors do. Here are some tools to get you started. 2. Develop a strong SEO strategy: Although many times your customers will know exactly what they are looking for, there are just as many when they don’t. It’s your role as a marketer to guide them to the information they need by showing up in their search results and guiding them in the right direction. To do that, look at your data and analytics and use tools such as the Google Keyword Planner to learn what phrases or keywords your customers are searching for. Then, embed these throughout your website and assets so that your landing pages and content are optimized to appear in search engine results when your prospect goes looking for a solution to their problem. 3. Include paid ads in your marketing stack: Paid ads are a great way to ensure that you are there when your prospects need you. This is especially helpful if you’re still struggling to make it the first page of search results or would like to target your customers in other places, such as social media. These ads don’t just allow you to show up, they are an opportunity for you to get creative with your messaging and visuals in a way that makes you stand out. Micro-moments are transforming the customer journey, and mobile is a key player in how that experience develops. With that said, your information is only useful to customers if they can view it from their mobile device. Make sure to optimize your website, ads, social posts, etc., so they are easy to view and digest from a mobile screen. Did you know 73% of consumers are more likely to select a brand if they regularly receive relevant information? This brings me back to the point of getting ahead of the competition, or as Google puts it “Be Quick.” It’s not just important to be there for your customer. Most of your competitors will already be prepared to do that, so you have to do so quickly and faster than everybody else. This action involves some effort on your part and, at times, reaching out before your customers do. One way to efficiently and effectively do that is using a marketing automation platform like Act-On, to set up trigger events every time a known contact completes a specified action on your website. That way, they will automatically receive an email follow-up encouraging them to take further action. You can also incorporate retargeting ads into your marketing strategy so that your known customers continue to see your ads as they browse other sites. Just think of the last time you were browsing a website and got an email reminding you that you left something in your bag or received a special promo to complete your purchase. Or maybe you saw a sponsored post on social media featuring items or services that you had previously viewed on a business’s website. These moments not only reminded you of what you searched for, they put that specific business at the top of your mind and provided extra motivation for you to complete a transaction. If this strategy works on you, it will most likely work on your prospective customers as well. Having an automated nurture email campaign in place will help you continuously respond to and seek opportunities to attract and engage your leads, and eventually convert them into customers. With this method, you’ll automatically respond with relevant information at the moment your prospective customer needs it to make a decision. 1. Find opportunities to teach: In the past two years, mobile searches for product reviews have increased by 35%. If that’s not proof that micro-moments are a thing and people are searching for answers, I don’t know what is. That’s not to say that all your content should consist of product reviews, but focus on teaching prospects something new about what you have to offer. Aim to create content that shows the value of your product, the features that make it unique, and why it’s the solution they are looking for. 2. Make your content easy to consume: Your prospects want information and they want it fast. Don’t make it hard for them to find the answers they need by making your landing pages too text heavy or creating content that is difficult to follow. Instead, create pieces like infographics, videos or easy-to-follow blog posts to direct them to the products or services they need to solve their problem. 3. Be relevant: This goes back to knowing your customer and anticipating their needs, and being in the moment with your customers. On top of knowing what type of solutions they are searching for, you need to understand why. Use your content to address that you understand the source of their pain points, and show your target customers how your product and solution is just what they need at that given point in time.